Online tutoring is a great way for you to learn French, in the most convenient place and at the most convenient time for you! Each Online French Tutoring lesson will take place with Isabelle our french tutor via Skype and may be conducted using a webcam (preferred - to allow you to interact with more ease) or audio connection. For this you will need to have a Skype account (which is FREE), a computer with the Skype software loaded, a webcam (optional), and a microphone (most laptops have them built in!). For your convenience you can pay for your Online French Tutoring lessons via PayPal! Payments should be received at least 2 hours prior to your booked lesson. To make an online French lesson booking please contact Isabelle via the enquiry form. Lessons must be booked at least 2 days in advance. During this online french lesson, your French language competency will be fairly assessed and the tutor will inform you which lessons are right for you to continue your learning development, and improve your language skills. 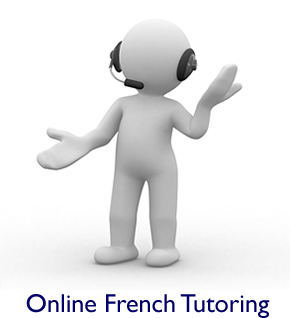 I Webb Language Services also provide one-to-one french tuition lessons. Click here for more information. Please use the Enquiry form to make a booking. I Webb Language Services provide English to French translation services, French proofreading services, online Fench tutoring and one-to-one French lessons in the Hartlepool and Seaton Carew areas.